“See what the world’s creating” is the motto of b8ta.com, a young company reimagining the way that new products are brought to consumers in a brick and mortar store. They had a large presence in the lobby area of the recent International Home and Housewares Show in Chicago, and I was intrigued by their innovative concept. 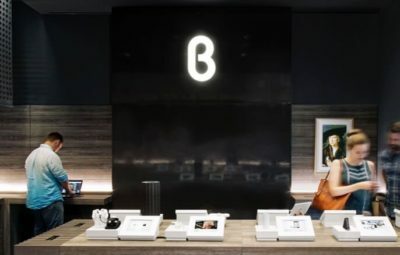 I was sorry that I didn’t have time to visit the b8ta (‘beta’) store in Chicago, located in The Shops at North Bridge on Michigan Avenue. They now have 16 flagship stores in major cities as well as many shop-in-shops across the country. The one thing that these brick and mortar locations have in common is the use of technology to introduce merchandise to the public – as well as the fact that like Apple stores, they emphasize showing rather than selling. 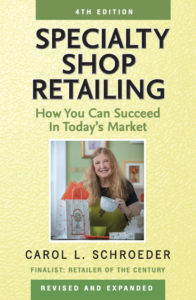 The purpose of these shops is to bring products into a retail setting where customers can see and touch them. The company’s income does not come from sales, but rather from renting space to manufacturers/makers wanting to get their products noticed. If a customer does want to make a purchase, there is inventory on hand – but sales can also be completed online. The b8ta platform launched in 2015, and has received $19 million in funding from a group of investors that includes Macy’s department store. According to an article on RetailDive, Macy’s is planning to test format spaces powered by b8ta’s technology and eventually will include shops in all its stores. The products featured by b8ta are predominantly (but not exclusively) high tech – which is not surprising considering their merchandising approach and customer demographics. The interactive, technology-based displays allow manufacturers to receive analytics helpful in determining the future of their merchandise. Paying for placement in one of these locations is an alternative to looking for a retailer willing to take a chance on an unknown line. And hopefully this innovative approach will mean that some new items will be market-tested and strong sellers by the time they land on the shelves of traditional stores like ours.